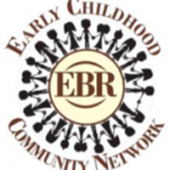 Start your Pre-K Application process at www.ebrearlychildhood.org. What do children do in a Pre-K class? Our Pre-K program provides children with opportunities to make meaningful choices, practice skills, ask questions, solve problems, express creativity and develop confidence as learners, preparing them to become productive, successful children ready for Kindergarten. Children are not allowed on campus until 8:00. Breakfast - We go breakfast together as a class at 8:20. 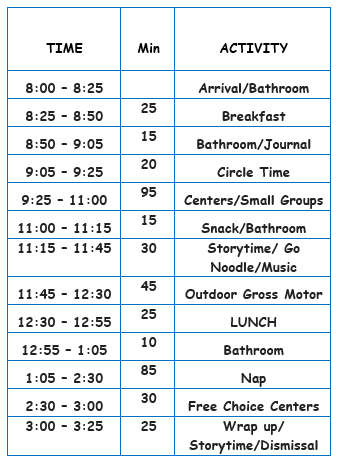 Centers – We spend 1/3 of our day in free choice centers. Outdoor Gross Motor – We spend 45 minutes outside on our playground each day. Snacks – Every child will have a turn each month to bring snacks for the entire class. Field Trips - We try to plan 4 field trips that are fun as well as educational that go along with our learning units. Garden – We have our own garden that we maintain and actively use in Math and Science lessons. Although WHAM’s Pre-K is housed on a dedicated Magnet campus, Pre-K is NOT part of the Magnet Program. If you are interested in attending WHAM or any other Magnet school for Kindergarten, you must complete an application during the application period. Any further information about the Magnet Program should be directed to Ms. Moss, WHAM’s Magnet Site Coordinator or to the Magnet office at (225) 926-5443.